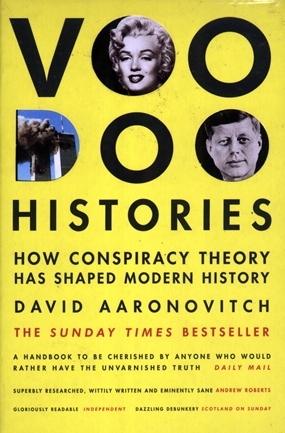 I selected this book, Voodoo Histories (ISBN 978-0-099-47896-6, Vintage Books, 2009), subtitled “How Conspiracy Theory has Shaped Modern History” from the Bookazine Big C Extra shelf, thinking this was going to be a feast of voodoo influences. It isn’t, or wasn’t. The author is David Aaronovitch, billed as an award winning journalist and he uses the direct journalistic approach when looking at the individual conspiracies; however, it is not till the end of that chapter that you start to get an inkling as to whether it is fact, or a make-up, which has been perpetuated by journalists themselves, for most part. The book deals with many conspiracies, beginning with the one that prompted his interest in the subject – did man really walk on the moon, or was it filmed in an American desert somewhere? Here he points out that if that really was the case, how did the US government stop “the truth” coming out? No astronaut “spilled the beans” that they didn’t get there, or navy person say the landing in the ocean was a hoax. Thousands of people who were part of the event could deny it, but have not. Common sense says the conspiracy isn’t! He deals with the protocols of the Elders of Zion and shows to my satisfaction, at least that these were (are) a forgery which has seen notables such as Henry Ford taken in by them. Plus pre-war Germany and a host more. Diana gets her moments of glory (probably moment of ‘gory’ would be more apt). 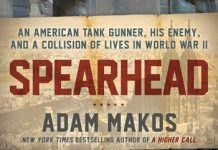 Aaronovitch points out that the concept of MI6, the British Royal family, Uncle Tom Cobbly and all influencing the outcome of a ride in a car driven by a driver who was drunk, is just too fanciful and should be laughed at – but – there is money to be made by propagating rumors to sell newspapers, and books and TV specials as well. Inadvertent death in a car accident not masterminded by anyone other than coincidence does not sell – but put MI6 in the equation and the public laps it up. Some of the conspiracies are very American and not of much interest to British folk, and vice versa for the British conspiracies. However, at B. 495, I have to say I was rather disappointed in this book. Author Aaronovitch has done much research and presents this in its entirety, but yet failed to excite me enough for me to look forward to the next conspiracy. Aaronovitch writes, “I have written this book because I believe that conspiracies aren’t powerful. It is instead the idea of conspiracies that has power.” Yes, the Power of the Press perhaps? I also found annoying the lack of a contents page so chapters could be accessed directly by going to the conspiracy theory of choice. However, there is an Index and a Bibliography at the end.